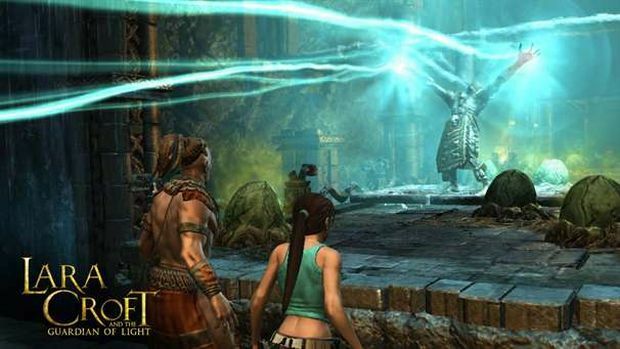 In our recent interview with Crystal Dynamics about Lara Croft and the Guardian of Light, we got to find out all kinds of cool info about plans for the title, but there was one we didn't see coming -- new content. Crystal Dynamics Global Brand Manager Karl Stewart revealed that not only will new downloadable content be coming, but that Xbox LIVE users will get it for free for the first 30 days after it is released. The content will include "challenge maps" that Stewart describes as being very difficult. "They're pretty tough levels," he warns, "and they're made of a combination of exploration, combat, and sort of the whole traversal world we've built into Guardian of Light." Will this content be free for PC and PSN once the game is available on those platforms later this month? Well, we don't know for sure. At least, it is not confirmed yet. Stewart did mention that an announcement is coming in the near future, so we ought to hear something soon.